When the privatization of public education is at the heart of an election, billionaires from coast to coast spend record breaking sums to bend the outcome to their will. 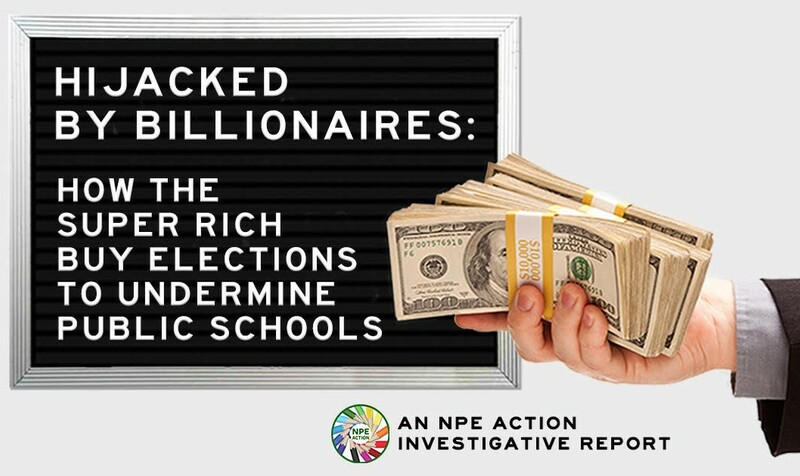 Last week the Network for Public Education Action (NPE Action) released a new report, Hijacked by Billionaires: How the Super Rich Buy Elections to Undermine Public Schools. It contains nine case studies that look at contributions in local and state school board races, mayoral and gubernatorial elections, as well as the Washington ballot initiative that created the state’s charter school law. In race after race, many of the same donors contribute to candidates that support their privatization agenda. But in many races, they don’t stop there. To get around state contribution limits, privatization allies pour thousands – sometimes millions – into PACs and Super PACs to maximize their impact. In the Louisiana case study, which looks at contributions in the 2011 and 2015 Board of Elementary and Secondary Education (BESE) elections, it is abundantly clear the lengths to which billionaires from across the country will go to advance their privatization agenda. In 2011, the combined contributions of the top five out-of-state billionaires totalled over $500,000. In that election their immediate goal was to ensure that the majority of BESE members would vote to install a privatization friendly Louisiana State Superintendent of Education to continue and expand upon the reforms already underway in post-Katrina New Orleans and across the state. By 2015, the top five billionaires dramatically increased their spending to close to $4 million dollars in an attempt to maintain that board majority. Michael Bloomberg, the former New York City mayor turned presidential hopeful, led the spending with $1,723,600 in contributions to PACs and directly to candidates. 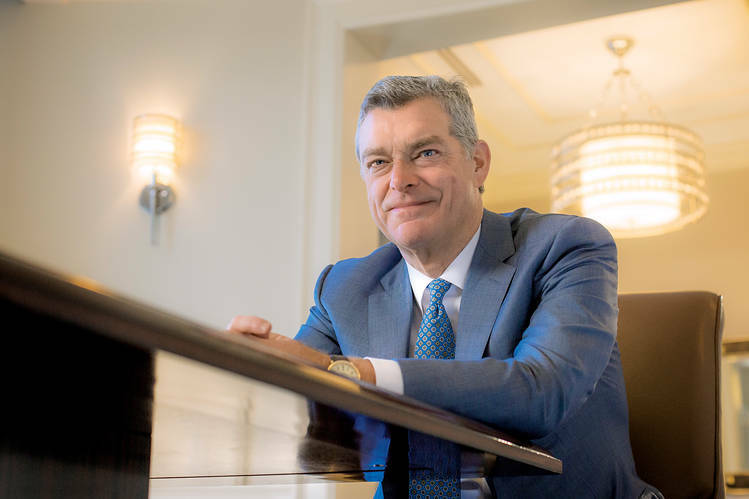 The combined spending of Jim and Alice Walton, heirs to the Walmart fortune, totaled $1,150,000 in contributions, the second highest total in the race. Other out-of-state billionaires included Donald Trump’s Secretary of Education, Betsy DeVos, her husband, and two of their Michigan associates, whose spending totaled $400,000. In other races, “dark money” flows into PACs or Independent Expenditure Committees through 501(c)(4)s that aren’t required to reveal their donors, allowing the super rich to keep their contributions hidden from public scrutiny. In both the Newark and Denver case studies, Education Reform Now Advocacy (ERNA) was the biggest spender. Based in New York City, ERNA is a “sister organization” to Democrats for Education Reform (DFER). Most consider the organization to be more neoliberal than progressive due to its strong allegiance to the corporate reform movement and charter schools. In the 2014 Newark mayoral election, ERNA funneled over $3 million dollars through an Independent Expenditure Committee (IEC) called Newark First in an attempt to defeat Ras Baraka, a popular high school principal and Newark councilman who was vocal in his opposition to the district’s reform-minded superintendent, Cami Anderson. Newark First’s independent expenditures supported the campaign of Shavar Jeffries, a privatization friendly candidate who lost the election but ultimately became DFER’s national president. On its 2014 990, ERNA lists its $3,050,000 million dollar donation to Newark First, along with an additional donation of $300,000 to Newark First Action Fund. In the Denver case study, which looks at the 2015 and 2017 Denver School Board elections, ERNA funneled cash through another IEC, this one called Raising Colorado. Like the Newark mayoral race, ERNA used its not for profit status to hide donor names. And like the BESE races, the big outside money flowed into a local election to create a reform-friendly board majority. In the 2015 election, ERNA pumped $375,000 into Raising Colorado. In 2017, that number skyrocketed to $625,000 for a local school board election. Why are billionaires meddling in these elections? Some despise teacher unions (and all unions) and blame them for the struggles of poor students. They prefer charter schools, because more than 90% of them have no unions. They want to diminish the influence of unions, even in right-to-work states where they have little influence left. Still others believe that only the marketplace and consumerism can produce quality. If the marketplace and competition made them and their business successful, then surely they will work for schools, too. All are united by the belief that education cures poverty and that their enormous wealth has little to do with the economic injustice and generational poverty that plagues our cities and rural communities. 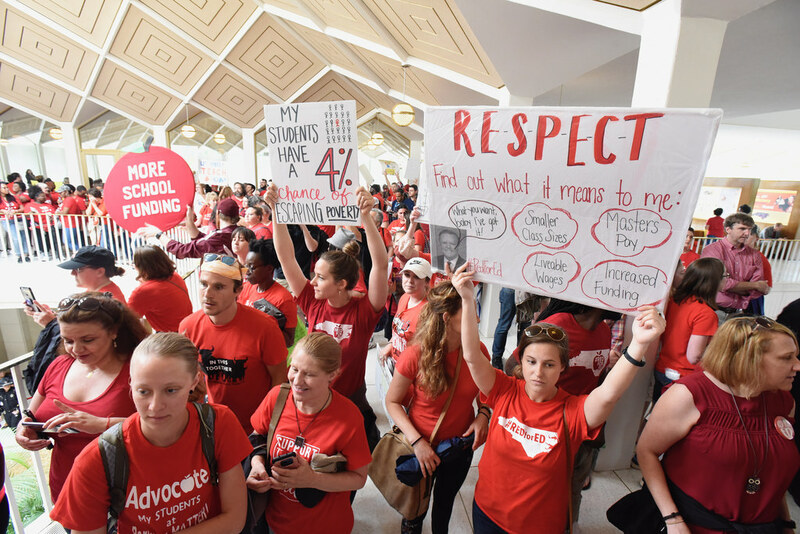 They believe that if teachers worked harder for less pay, without seniority or job security or unions, then the problem of poverty would be solved. Whatever their intent, there is no doubt that some of America’s wealthiest individuals are collaborating to hijack the democratic process by pouring millions of dollars into state and local races, often in places where they do not live. They do not believe in public schools. Their agenda is to advance the privatization of public schools by whatever means necessary. We cannot let them win. Carol Burris is the Executive Director of Network for Public Education Action and Darcie Cimarusti is Communications Director for Network of Public Education Action. 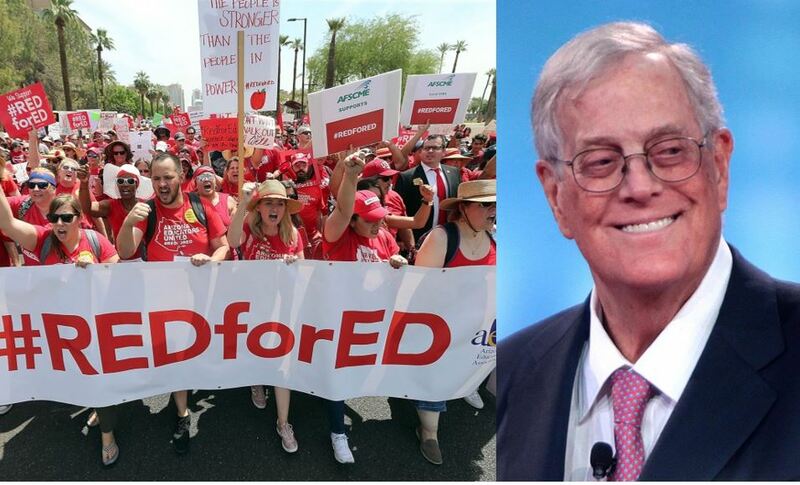 NPE Action released the report, Hijacked by Billionaires: How the Super Rich Buy Elections to Undermine Public Schools, that is discussed in this guest post.